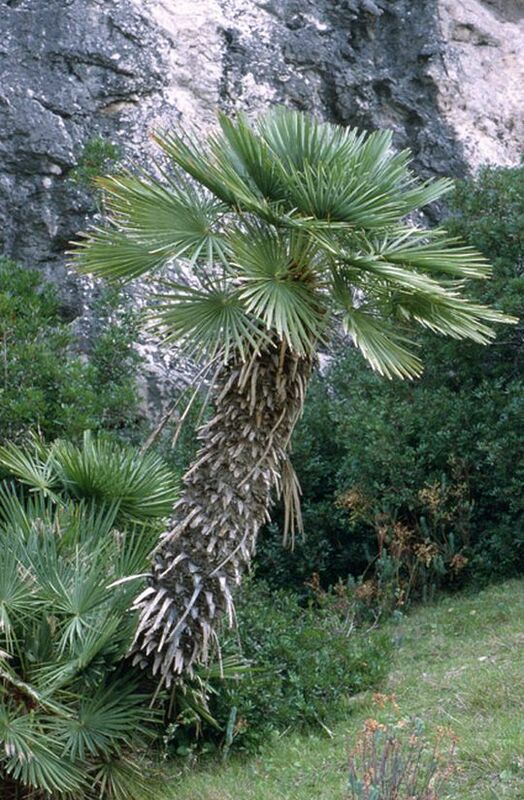 Chamaerops humilis is the only species in the genus Chamaerops; the genus is closely related to the Asian genus Trachycarpus, differing in the spined (not smooth) petioles and the multistemmed clustering habit. 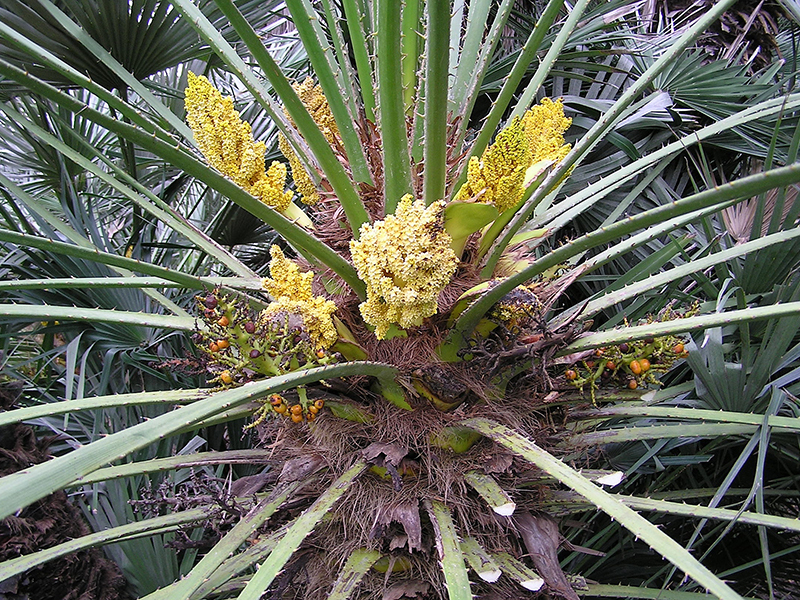 It is a small clustering palm, growing to a height of 1-4 metres, rarely to 6 metres. 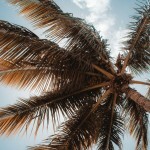 The leaves are palmately compound, 1-1.5 m long, with 10-20 fingered leaflets 50-80 cm long arranged in a fan at the end of the heavily armed 30-70 cm petiole. 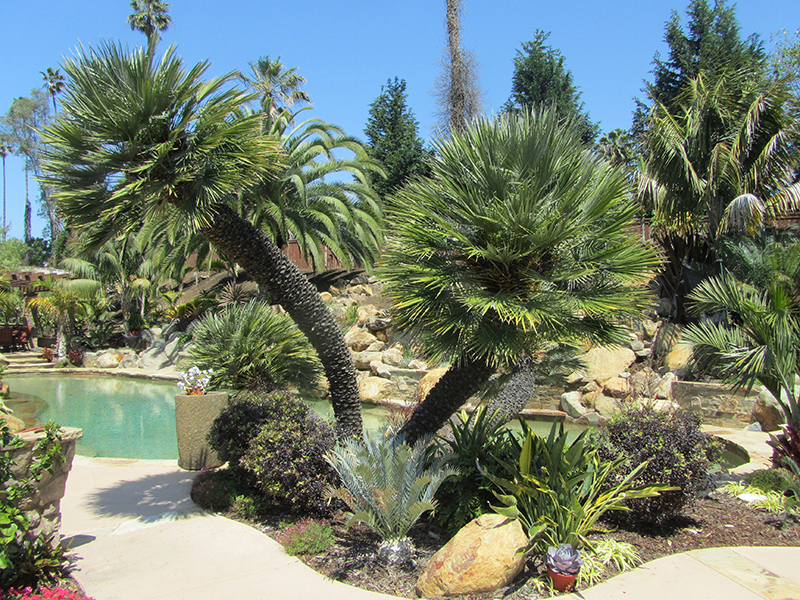 In C. humilis var. humilis the leaves are green, while in C. humilis var. argentea they are strongly glaucous a silvery-blue waxy coating, similar in colour to Brahea armata leaves. 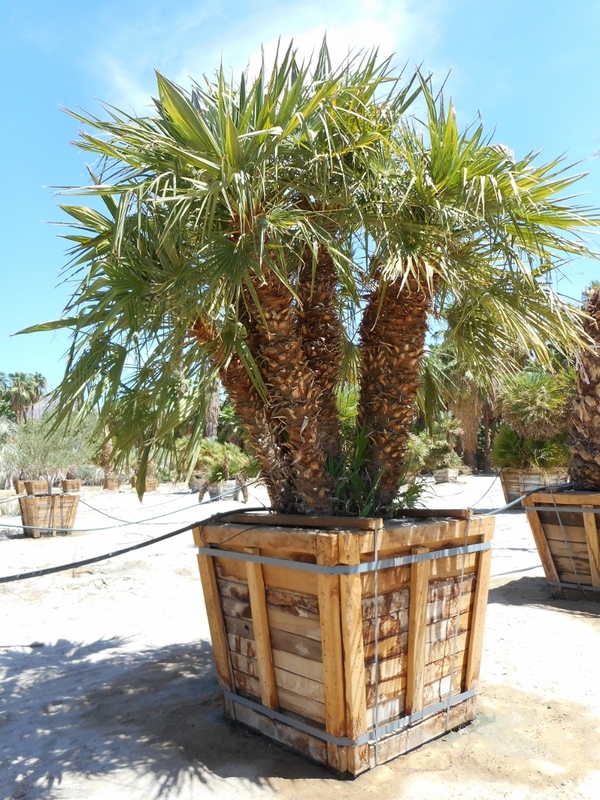 Please contact West Coast Trees for information and availability on Chamaerops humilis.